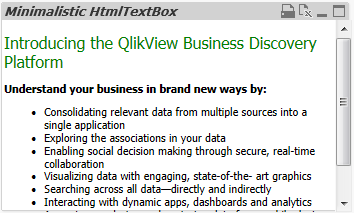 By default QlikView’s TextBox object does not interpret Html content. It will just show the full Html code loaded into the TextBox object. This also does not change if you are using the WebClient (Ajax client or Mobile client). This article shows how easy this can be achieved by creating a simple object extension. 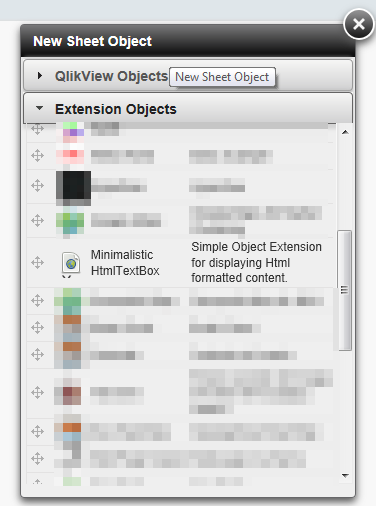 Just drag and drop this object type to your existing sheet. or define a field in your data modell into which you have loaded your Html content from any datasource. 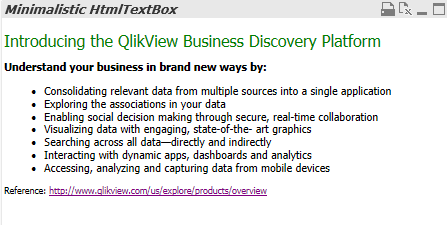 and tagged Extensions, Html, QlikView 10, QlikView 11. Bookmark the permalink. Both comments and trackbacks are currently closed.